We’d love your help. 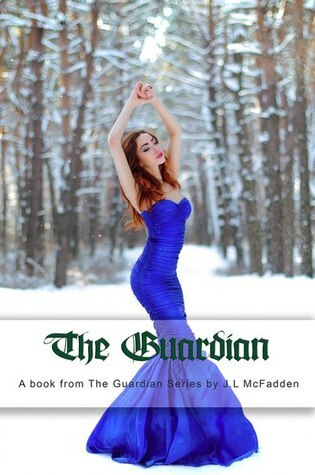 Let us know what’s wrong with this preview of The Guardian by J.L. McFadden. To ask other readers questions about The Guardian, please sign up. In the accident that killed the love of his life, John imagines he was saved from the fiery wreck by a woman, but was she as angel or something else? No one saw her, she left no tracks, but John just knew she was real and one day he would be drawn to where she was, Russia, no reason, just a feeling. That journey would take him into a world of vampires, legends and love. THE GUARDIAN by J.L. McFadden has all the bones, all the potential for a fabulous paranormal read, action, danger and romance, b In the accident that killed the love of his life, John imagines he was saved from the fiery wreck by a woman, but was she as angel or something else? No one saw her, she left no tracks, but John just knew she was real and one day he would be drawn to where she was, Russia, no reason, just a feeling. That journey would take him into a world of vampires, legends and love. THE GUARDIAN by J.L. 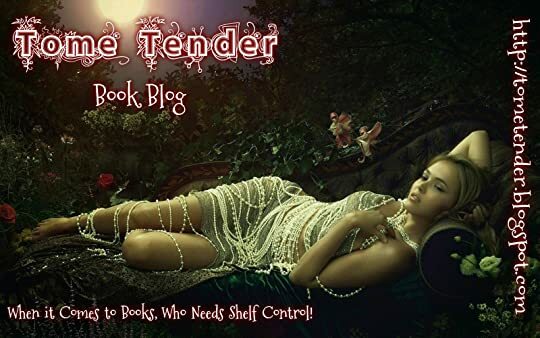 McFadden has all the bones, all the potential for a fabulous paranormal read, action, danger and romance, but for me, it just didn’t come together smoothly. I’m sure it’s just me, but this wasn’t my cup of tea. I just couldn’t believe in what was happening. One evening this book came to my hands. In that moment I have already known it's fanasty about vampires. I can say I don't read a lot about them before and I don't like this topic, but it wasn't important to me, so I wanted to read it. I opened the 1st page and at the same time REAL ACTION said "HELLO!!" to me. Auto accident, fire, high temperature, blood... And all this was finished it was just the nightmare. So I like the books with such begginings... Will not say anything more about this in o One evening this book came to my hands. In that moment I have already known it's fanasty about vampires. I can say I don't read a lot about them before and I don't like this topic, but it wasn't important to me, so I wanted to read it. I opened the 1st page and at the same time REAL ACTION said "HELLO!!" to me. Auto accident, fire, high temperature, blood... And all this was finished it was just the nightmare. So I like the books with such begginings... Will not say anything more about this in order not to open the future plot. Here you would meet one of the main characters John. Yeah he is one of my favorite characters. By the way my favorite are John, Adela and Galechka. About these three I still have questions, so I will read the next chapter with pleasure!! They are connected to each other by the guardian bond. I like this idea too much and I have never seen something like that before, so as for me it looks fresh and interesting. And what about the plot? You know, in the beggining there are two locations of action, but then everything connects in the old castle where vampires coven lives and this connecting is happend because of guardian bond. The war between covens is included. Author gives a lot of attention to discover fights and some other scenes you would meet during you would be reading the book. I have said about guardian bond for a lot of times already, but it plays the great role in the story and in the developing of the main characters you would watch due to it too. And of couse the dilemma, which John has, must be decided using his bond. And this we will see in the next chapter. I'm waiting for it!! Keep doing the same!! 5. Really interesting plot, seemed a little rushed, but I am interested to see if the next one is better. I was given an ARC book for an honest review free of persuasion from the author or anyone else affiliated with this book. This was a really good start to this series! I love stories about vampires and werewolves and this book did not disappoint. It brought another side to the story with the introduction of the guardian. I loved reading the development of the guardians powers. John is struggling with his life. A horrific car crash killed his girlfriend and 2 of his friends. W I was given an ARC book for an honest review free of persuasion from the author or anyone else affiliated with this book. John is struggling with his life. A horrific car crash killed his girlfriend and 2 of his friends. Why did he survive? How did he walk away without a scratch from a car wreck that killed 3 others? As John is struggling with his life and trying to cope, he starts having unexplained visions. Is he completely loosing his mind? John feels an unexplained urge to travel to Europe. He decides that a fresh start is what he needs in life and flies to Europe. What happens when John gets there? Who is Gala and what role does she play in his decisions? “The Guardian” is a fast-paced story about a man named John who is saved from death during an automobile accident by a woman who he later finds out is a vampire. He travels from the U.S. to Russia, drawn to her without knowing it. As soon as John meets Gala, they fall in love. He finds out that he is her Guardian and develops abilities. Unfortunately, the ancient vampires kill all Guardians, so John is in danger. Adela, the leader of the coven, is also coming into new powers, and, like John, is a threat to the ancient vampires. I enjoyed the overall concept of the story other than the insta-love, which later turns into kind of a weird love triangle. It’s very different from most paranormal romance books I have read. Although John and Gala instantly fall in love, it isn’t a happily-ever-after (HEA) story. The romance is left hanging at the end of the book. This was also an unusual vampires story because there isn’t much discussion of the vampires’ need to feed. In the whole book, the aspect of drinking blood only came up three times that I noticed, and all three times it was just a passing one-sentence or less comment. I had a hard time becoming emotionally invested in any of the characters. At first, I liked John and sympathized with him. As the story went on, he became uninteresting despite his physical changes. He just seemed too laid back about everything, being pulled around by the plot without argument. Also, he just forgets about the people he left behind in the U.S., which was a big strike against him in my book. Generally, the story was well-written, but I did see some typos. I think it could have been edited better. Also, I think there could have been more attention given to setting. I didn’t like the omniscient narration. I would have preferred to only know what the main character in the scene knew. That’s just my preference, and not everyone would be bothered by it. I also didn’t like how some things needed more explanation. What I mean is: the details given weren’t always enough to completely understand how events were able to take place. For example, it appears at the beginning of the book that John is unemployed and poor, because he’s sleeping all day and lives in a crappy apartment. Somehow, though, he manages to have money saved that he can use to on-the-spur-of-the-moment buy a plane ticket to Russia (the same day he decides to leave). How did he afford that? Also, how did he go to Russia without a passport? There is no mention of him already having a passport and he didn’t have time to apply for one. Hmm. This story has all the parts to be a great read for me, but it just didn't seem to ever really come together for me. The characters are there, they are good. The story line is good and the world is really interesting. Like really really interesting - I am really loving the world this author has built. I hardly ever have bad things to say, and really these thoughts are not bad - the book overall is ok - I just didn't love it, I felt like I need more flow and connectivity throughout the story and th This story has all the parts to be a great read for me, but it just didn't seem to ever really come together for me. I hardly ever have bad things to say, and really these thoughts are not bad - the book overall is ok - I just didn't love it, I felt like I need more flow and connectivity throughout the story and the characters. I was not immediately sucked in, however I was totally intrigued by John and what was happening to him. The formatting in my review copy was a little hard to follow, but it wasn't horrible, and this might be different in the printed or amazon editions. My review copy was from the author in exchange for the review. I think readers who like PRN and Supernaturals will enjoy this world and like the story. I will be checking out Choices for sure to see what happens for these characters! This story was not a long read, but what a story!! There was a really good story line which really make you want to keep going. There were some parts that happen so fast you kind of are like wait what just happen, otherwise probably a 5. This was your opposites attract storyline that really works but by the end I was like WHAT I didn't see that coming!!! I really can't wait to see what happens next.